Whiteboard Animation: Do You Believe In God? Do you believe in God? This whiteboard animation was created for fun. You don't have to think hard to know the whereabouts of God, to see or feel Him. It's not about, "hey you must find the way to believe in Him." It's only an invitation to think and reflect. No big deal. The illustration in this video is a sort of trivial for you who might have high mobility in life and adore science and logic much. But to try to search something beyond compare and the Most Powerful is a worth try. It's a doodle only, an animation in whiteboard called do you believe in God? More of it you can have it your own, say like if you want to promote product, ideas, advertisement you can you see this media. Surely you have come to the right place to hire an animator. This is one of the most effective media for online business, presentation or sales. 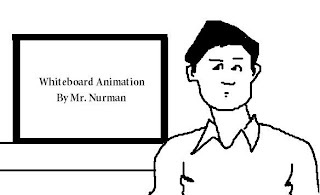 The whiteboard animation is fun and easy to understand rather than any conventional media. Skip this do you believe in God and think about your own idea to be animated. It needs being tickled or no, I'll do my best for you. The following might be a reference for anybody looking for tickling stories which can be enjoyed visually. They come from various themes. You can find Photoshop drawing, Microsoft Paint or naughty Stickman. Stick around for more videos to come. 1. Tickling story blah blah blah animation. See how words don't have to mean anything but wit can mean something. 3. Tickling Banner or tickling Stickman? Weird Superman, he gets stressed! This is the first time I uploaded a unique animated video on YouTube. From blog walking activities, I just found out that I could convert the file into a better one, so that you guys can see it in HD quality. But I'm so lazy to do so as it takes quite a long time to upload it back to YouTube. Is it just to kill my time to create this weird tickling animation? I did it in a day, spending the whole day of my leave, and I hope this Superman gets stressed video is going to be a good start for more sophisticated video such as explainers using flash or after effect in order to make good money. You, guys engaged in animated designs may get inspired. This work is not an extraordinary one, humbly I admit, anyway. Superman is such an inspiration and there's much more to put to Internet to make money making animation. And this weird one, that he gets stressed it's not the point. You can get a lesson more than this even in a less-than-one minute video. It's not about right or wrong is my country: Indonesia. That's all for today. I am looking forward to your comment, some critics and so on. Weird it's okay, but please don't get stressed like this Superman. Katy Perry dance with me, what a tickling video! No, Katy Perry won't dance with me. When she came to Indonesia, there's no story about her tickling my funny bones. There's no story when I was dancing I was longing for her to join me to mock the life, either. Katy Perry has her own dance, and so have I. We dance in a different place, miles away to reach each other. She is with her style and I am with mine. I'd rather learn how to say something before dancing. Say something which is inspiring, because words mean a lot when it cones to expressing ideas. Saying is weird, absurd or confusing if we just say without thinking. However,jabbering is fun anyway in the hand of witty people. How to master English in a day: a tickling tip? English seems difficult to some. Why? Because they somehow find its structure or grammar like mathematical formula. They think anytime they want to speak, they need to avoid mistakes by following the rule of linguistic. This happens in Indonesia, my country, where English is a foreign language here. Off course, we use Tenses to clarify some happenings, events or period or times talked about, to avoid misunderstanding. However, the stress is not here, in order to enable us to build our courage to speak the language. The focus should not on the use of the language, but on the usage of the language, meaning we should get involve in a real drama rather than on structural description. 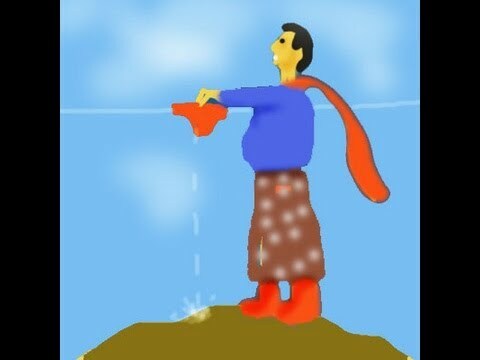 There's no miracle as to how to master English in a very short time. But there's a way to spend efficient time to improve it when you're familiar with the right method. Check out this video, only when you are aware of something better that inspire you later than only dreaming. I am Mr. Nobody, but this has nothing to do with Mr. Nobody, a 2009 Belgian Science fiction-Drama directed by Jaco Van Dormael and starring Jared Leto, Diane Kruger, Rhys Ifans, Sarah Polley, Linh Dan Pham, Daniel Mays and Natasha Little. I just came across this similar title as soon as I had uploaded the following video onto YouTube. How do you like being nobody? It's fun. You don't have to avoid people asking for an autograph as you are gradually famous on line. Lol. Check out this video. It's me, leading a simple life and enjoying making a lively narcissistic video. Get inspired! I'd rather say this is the most narcissistic video I've ever created. But, above all, there's a message there which is hard to reveal since most people disbelieve in illogical experience. Maybe not most, but some; it all depends on how spirituality affects them, how to sense something uncommon but true. The debate about the truth itself, especially when it comes to faith discussion quite often brings about unsatisfied results. Each person has different faith to stick to and some may preferably look down on others with some reasons. This is me, surviving the death and there will be the following story only when I think it's the right time to tell the world about it or just keep it a mystery. Here is a list of tickling videos that you may find silly, ridiculous or weird. Mr. Nurman learns to tickle your fancy presents something more than just fun. When you get spontaneous ideas in mind and you would like to express them on the Net, just do it. This is what I say to myself, "you may get nothing but only satisfaction." That's just fine. Candid, lively, tickling, all of the following videos starred by my kids, and supported by my wife and me. Although the titles or subtitles written in Bahasa Indonesia, the messages are really easy to understand, because picture talks, doesn't it? Don't believe it? Just ask Justin Bieber. Lol! Justin Bieber VS Indonesian kids? Or Indonesian kids VS Justin Bieber? whatever it is, life is full of fun, espeically when you need something candid or spontaneous presented in a video clip. The following scene is likely directed by a film director. Actually, it is not. Kids might only be able to copy and act, and there's something more than that if we able to see the childlike side in human, things with come up with positive thinking and mind. Check out this video, presented for you just for fun.